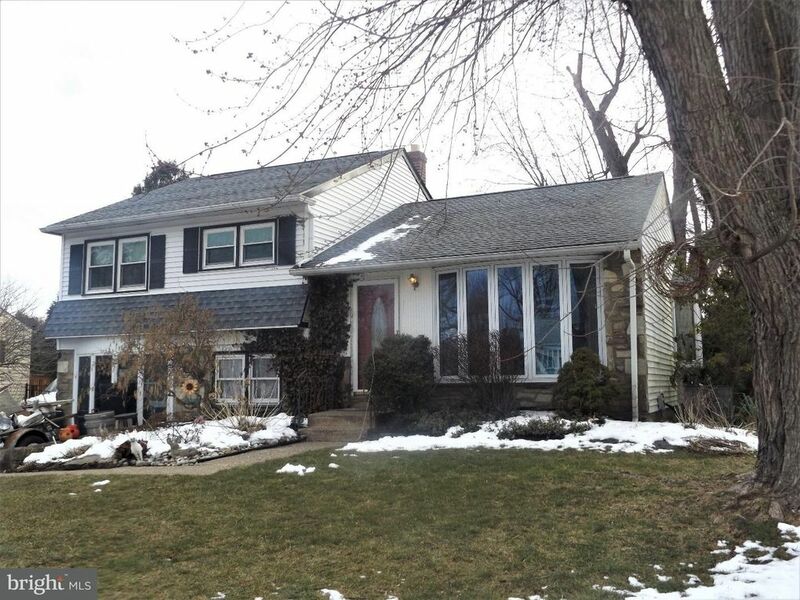 Expanded 5 Bedroom 2 bath split level features open main level floor plan. Large Living room with large bay window, Bruce hardwood floors opens to Remodeled kitchen with center island and solid oak cabinetry and Corian counter tops with under mount sink, built in gas range and overhead microwave and ceramic tile floor.Separate eating room off kitchen with large bay window & ceiling fan, slider to Large pressure treated deck. Lower level expansive family room with recessed lighting, gas fireplace, Berber carpet and large front Bow window welcoming in natural light.Lower level 2 bedroom addition off the family room with full bath and access to laundry mudroom.Upper level features 3 bedrooms and wall to wall over hardwood floors.Detached 2 car garage with overhead storage.Nice backyard!